Eye-Fi's SD cards are a simple way to wirelessly send photos from your camera to your computer or mobile device. Just plug one into your camera's SD slot and you instantly have a Wi-Fi connected camera that can send images to your smartphone, tablet or PC. Though it's increasingly easy to find a camera with built-in Wi-Fi, Eye-Fi remains a great convenience for older models or cameras that don't have built-in Wi-Fi (the feature still isn't common on high-end DSLRs). For about $25, you can pick up an 8GB Eye-Fi card to turn any camera into a connected camera—and that's a lot less than you'd spend to buy an all new point and shoot. It's a great value and we've long been fans of Eye-Fi cards. 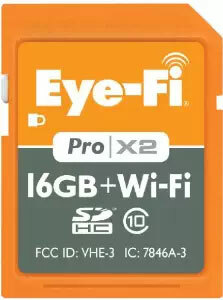 However, this week Eye-Fi announced that it would end support for older Eye-Fi X1 and X2 cards on September 16, 2016. While not being able to get customer service for your SD card doesn't sound like a big deal, there's a snag: these older cards only work via an online service called Eye-Fi Center, which the company is shutting down. Though Direct Mode, Selective Transfer mode, and transferring images over your local wireless network may still be possible—so long as you configure your card to do so before Eye-Fi Center goes offline—there are no guarantees. And if you don't have your card set up before September 16, you will no longer be able to configure the device or download the apps that work with it won't be available to download. While SD cards can—like any piece of tech—fail with age, it's a huge disappointment for a relatively new gadget to stop working completely. While Eye-Fi says it started phasing these older cards out in 2012 and sold the final cards in March 2015, you can find new Eye-Fi X2 cards on Amazon today. 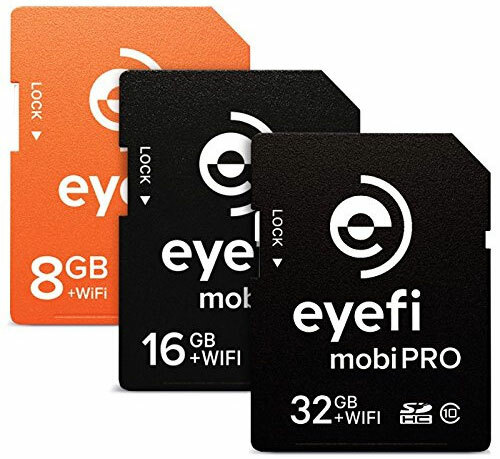 For owners of these classic cards, Eye-Fi is offering a 20% discount on the 16GB Mobi Pro (which includes one year of access to the Eyefi Cloud photo storage service), bringing the price down to $55.99. However, you're likely to find better deals on Amazon, which is currently selling the same card for $51.99—and lower end Mobi cards for as little as $25.48. If you were looking for a way to upgrade your old camera—without replacing it entirely—Eye-Fi is a solid brand with a history of making reliable cards. However, if you're an Eye-Fi customer soured by this experience, you have other options: both Transcend and Toshiba offer Wi-Fi enabled SD cards that are less expensive than their Eye-Fi counterparts. You can currently buy a 32GB Wi-Fi card from Toshiba for $29.95 or or from Transcend for $50.48 —that's double the storage of a similar Eye-Fi card for a lower price. If you own an older Eye-Fi card, check out their end of fife FAQ for the details on what will happen to your card.